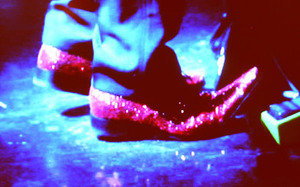 Who wore these fancy pink "Dorothy" shoes on stage last week? Hints: He grew up west of Kansas and it is not Jake Shears. Answer after the jump.